There are directors that you want telling the heart-wrenchingly true stories based on fact. Spielberg was unflinchingly loyal to history when he made ‘Schindler’s List‘ and ‘Saving Private Ryan‘. Mel Gibson brought the history of William Wallace to life as he led the Scots in revolt against England in ‘Braveheart‘. Ridley Scott dove into the horrific tale of ‘Blackhawk Down‘ and pulled no punches with the details. ‘Act of Valor‘, ‘Zero Dark Thirty‘ and ‘Lone Survivor’ are all cut from the same cloth as the previously mentioned films. The memory and honor of the dead lives on through these fact-based projects. One name you won’t see at the top of my wish list to direct a piece like these is Michael Bay. Bay is who you go to for a summer tentpole ‘Transformers‘ film, or a movie where someone walks away from an explosion without turning back. In the middle of his ‘Bad Boys‘ films and music videos sits ‘Pearl Harbor‘. This is the project that put Bay in the Guinness Book of World Records for the movie with the most amount of explosives used. That film was majority love story and the rest was carefully re-written history. There were factions on both sides of the incident, American and Japanese that had trouble with aspects of the film. After ‘Pearl Harbor‘ came the onslaught of ‘Transformers‘ films, each one getting bigger and flashier than the last. Kind of tucked away in his resume is ‘Pain & Gain‘, the script of which was based off a true story and that’s about as far as facts go for that film. I point these out to show that Bay, while he can produce big numbers with altered truths and kajillions of explosions, is not the best man for the job for a fact-based film. Bay recently announced that he is passing on another ‘Transformers‘ pic and has turned his attention to a less robotic project. He hasn’t locked in completely just yet, but Bay is circling Paramount’s ‘13 Hours‘ based on the true story recounting the attack on the U.S. Special Mission Compound and a nearby CIA Annex in Benghazi, Libya on the 11th anniversary of September 11. 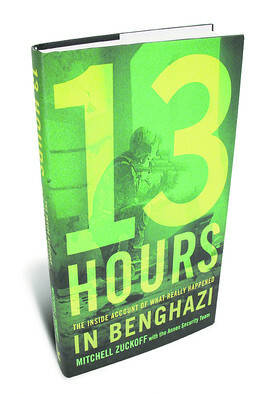 Mitchell Zuckoff’s book ‘Thirteen Hours: A Firsthand Account of What Really Happened in Benghazi‘ was used as a basis for the script written by Chuck Hogan. This adaptation can be a great vehicle for Bay if it’s done correctly. More ‘Blackhawk Down‘, less ‘The Rock‘ and please, please NO Nicolas Cage. Bypass the crippling explosions and focus on the gritty, unrelenting truth. 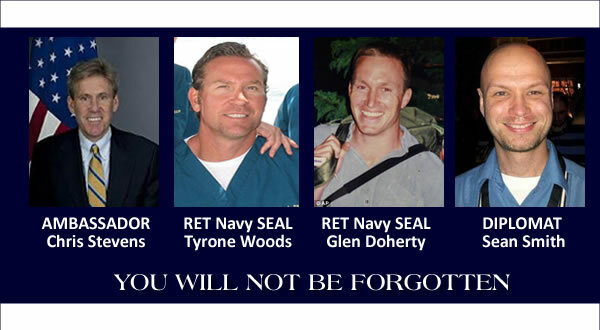 The men that gave their lives in the actual events deserve the truth to be seen without those facts being re-written. This entry was posted on Thursday, October 30th, 2014 at 2:19 pm	and is filed under Books, Film, News. You can follow any responses to this entry through the RSS 2.0 feed. You can skip to the end and leave a response. Pinging is currently not allowed. « WWE News: WWE Announces New Plans and Pricing for Network!